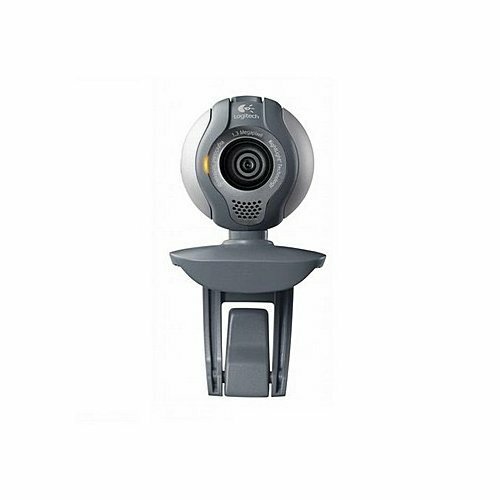 Buy Logitech Webcam C500 for PC in India at the best price. Screenshots, videos, reviews available. With a built-in video-calling application and clear, detailed video, this webcam lets you stay close to friends—from any distance. Now video calling is free, fast, and easy for you and anyone you want to talk to. It’s built into your webcam setup, so you can call right away. You’ll get more detail and clarity with the precision engineered glass lens, so your loved ones can see you as you really are. It delivers rich, vibrant images and fluid video and lets you take snapshots at up to 5 megapixels (software enhanced). You can attach your webcam securely to LCD monitors and ultra-thin notebooks, or sit it on a shelf or desk. Works with Skype, Windows Live Messenger, Yahoo! Messenger, AOL Instant Messenger (AIM), and other popular instant messaging applications. It gives you clear, headset-free conversations without annoying background noise.